The new MuscleBlaze® Protein Bar in Almond Fudge flavour is your new go-to bite for an anytime anywhere hunger management. This protein bar is crafted with excellence to satiate your need of daily protein intake and satiate your stubborn hunger pangs. The delectable Almond Fudge flavour and 10g of carbs leave you satiated and eliminate that pesky habit of unhealthy munching. With the power of Whey Protein - The new MuscleBlaze® Protein Bar in Almond Fudge flavour is crafted using the same international quality whey that is being used in the benchmark whey protein products from the house of MuscleBlaze®. Thus, you can trust the quality of protein used in the protein bar. With all quality sources of protein, this bar contains 22g of protein that helps you to opt for healthy eating anytime anywhere. The clean carbs - It contains 10g of carbs sourced from the clean and healthy sources to ensure that only the best is delivered to you. These carbs satiate your hunger pangs and stop you from grabbing those unhealthy snacks. Fibre - Fibre plays a vital role in our digestive system as it helps to keep the gut healthy and improves absorption of vital nutrients. With 7g of fibre, this bar adds to your health regime while keeping you on track to reach your goal. 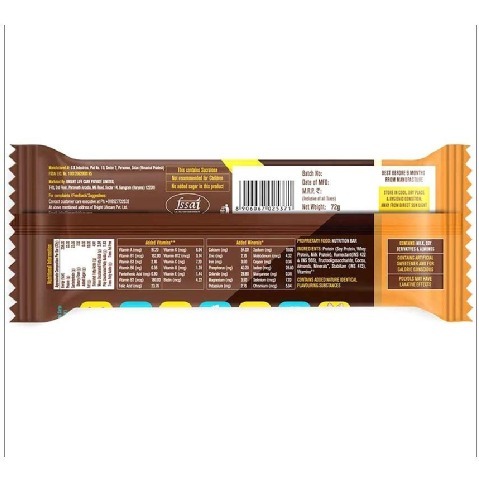 Vitamins and Minerals - With 27 essential vitamins and minerals, this bar does justice to its responsibility to make sure that each bite is served with all things good. 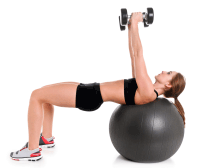 These vitamins and minerals help strengthen the immunity and enhance body’s capability to perform better at workouts. 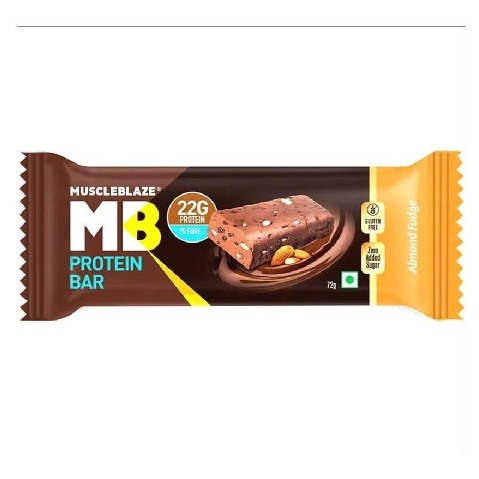 You can Buy MuscleBlaze Protein Bar online on Healthkart. While this supplement is available even in the market in supplement and nutrition stores, this is one of the most convenient options. You can read several Protein Bar reviews before making your final choice. You also get great discounts that give you complete value for your money when you order online. 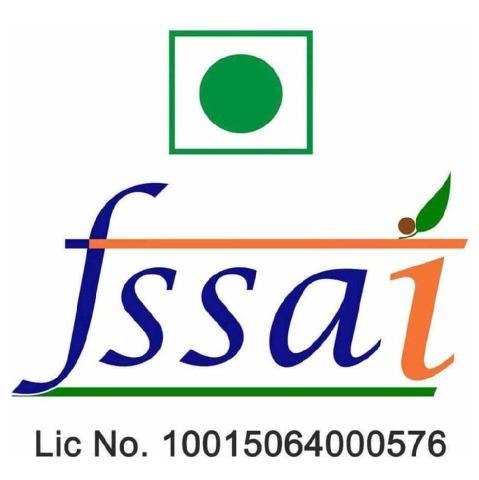 To create a path-breaking formulation with unmatched taste, MuscleBlaze ensures to manufacture its products under the guidance of best pharmaceutical experts. It continues to delight their customers with great resulting supplements that are known for their best flavours. 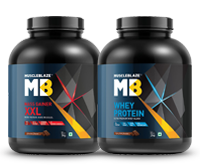 If you are looking for best Whey Protein, Weight Gainer and Pre-workout supplements online, visit Muscleblaze Website. Apart from it, HealthKart also offers genuine MuscleBlaze Supplements.